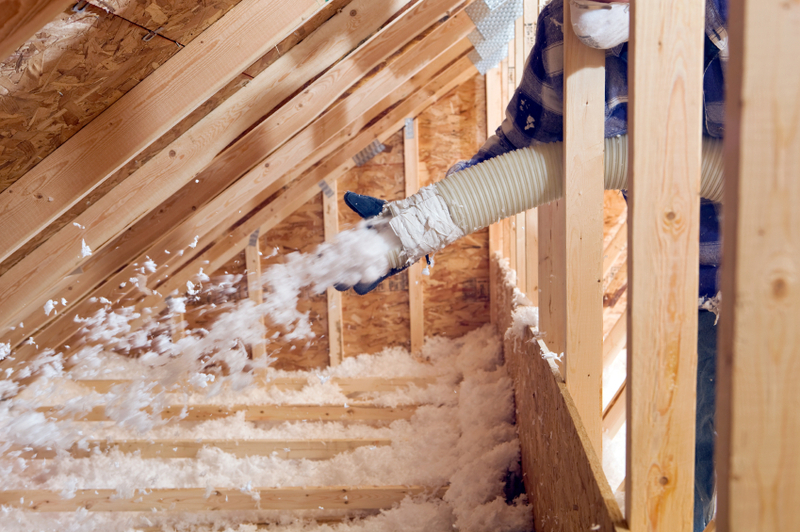 Keeping your home cool in the summer and warm in the winter is something every homeowner strives to do. The good news is you don’t need a Ph.D. to create a comfortable living space. What you need is a bit research, a little inspection and a few hours of work. The problem is most homeowners think too highly of their homes. Many do not realize that their home may be less insulated than they think. Here are a few signs you should look for as you stroll around the house. Homeowners tend to believe that their windows are set to go if they are relatively new and made of good materials. While the quality of your window can make a difference in its longevity and durability, your windows may still be leaky because of poor installation. Other times, a well-installed window can be compromised after undergoing multiple thermal expansions and contractions. Tell-tale signs of a leaky window include peeling paint on the interior window sill, or surrounding walls and rotting wood on the exterior window frame and sill. If you see any of these signs or detect traces of mildew and mold in your home, then it’s time to check your windows and caulk them for good. You may not pay too much attention to your squeaking doors, but like your windows, your door is also a common air leakage point. When your doors aren’t thoroughly fitted you will notice certain gaps and areas between the warm inside and the cold outside. When you stand next to it, you can feel the cool air (in winter) and the warm air (in summer) intruding your living space and driving your utility bills up. The best way to remedy this is to seal up the door with a draft excluder and stop the leakage. However, if you’re one of those homeowners who have done the “sealing” already, checking your door regularly for drafts remains an important to-do. As This Old House shares, “a door's weather seals, if it has any at all, can rip, compress, bend, or wear out over time, leaving chilly winter air free to enter (or expensive air-conditioned air to leave).” The moral of the lesson? Keep your door sealed and keep an eye on it! The best way to understand how well your home is insulated is by giving it a personal assessment. To get started, Energy.gov recommends homeowners “check the attic, walls, and floors adjacent to an unheated space, like a garage or basement...to see what type of insulation you have, and measure its depth or thickness (in inches).” Depending on what your home is equipped with, your insulation fixes may be as simple as weatherstripping your entry points or as complicated as insulating your attic by adding an extra layer of insulation blanket, and maybe upgrading to an energy efficient metal roof. According to EnergyStar, doing so will not only make your home more comfortable year-round, but also help you save an average of 15 percent on heating and cooling costs. The investment is worthwhile, so grab a clipboard and start the assessment today. Paul Kazlov is a “green” home remodeling enthusiast and an industry pioneer for innovation in home renovation. Paul writes for the Global Home Improvement blog and strives to educate people about “green” products such as metal roofing and solar. Follow him on Twitter. Thanks for suggestions, will keep this in mind from now on.